With a land area of only 4,000,000 square miles, Europe is the second smallest continent in the world, just behind Australia. Despite its relatively small size, Europe is quite populous. It comes right after Asia and Africa in terms of population. It might be the second smallest continent, but Europe is home to the largest country in the world. Russia is so big, in fact, that it takes up forty percent of Europe’s land area. 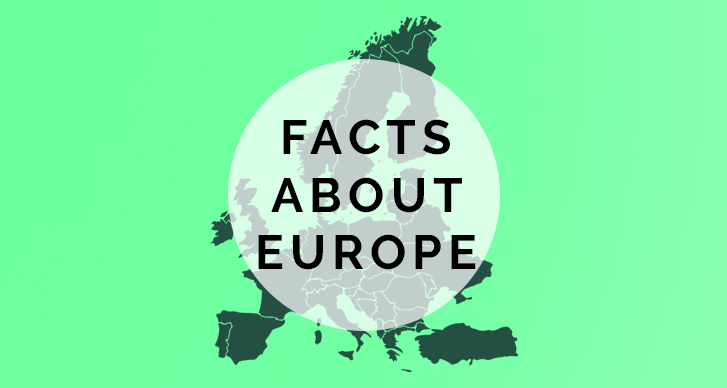 Europe was the main location of several historical periods that made a huge impact on the world like the Renaissance and the Industrial Revolution. When it comes to land area, Europe is only two percent bigger than Canada. The etymology for the word “Europe” is uncertain up to the present time. Some people like to think that it came from Europa, one of Zeus’s many wives in Greek mythology. The name “Europe” might have originated from the Greek word “eurus,” meaning wide or broad. The first historians who first used “Europe” (or an ancient variant of the name thereof) as a geographical term was Hecataeus and Anaximander. The boundary between Asia and Europe changed a lot during the course of history. Anaximander and Herodotus placed the boundary near the Phasis (modern day Rioni) river, while Roman era historians like Ptolemy and Strabo placed it near Tanais (modern day Don) river. Europe is also called as Frangistan or “the land of the Franks” in the vernacular of some Turkic languages. Some of the world’s greatest empires were founded on European land. This includes the ancient Roman Empire (the cradle of modern civilization, according to some historians), and then later on, the British, Spanish, and Russian Empires. Aside from having the largest country in the world, Europe also has the smallest! The Vatican has a land area of only 0.44 square kilometers. The largest city in Europe is Istanbul, if transcontinental countries that straddle both Europe and Asia (like Turkey) is counted. Otherwise, Moscow is the largest, followed by Paris and London. Europe is part of Eurasia, a giant continental landmass consisting both of Europe and mainland Asia. Europe has many geopolitical divisions, some of which includes many countries that are more proximate to other continents. For example, Cyprus (which is nearer to West Asia) is considered as European. Sometimes, Israel can also be considered as part of geopolitical Europe as well. While Greenland is closer to North America, it is still considered as part of Europe because it is a dependent territory of Denmark. 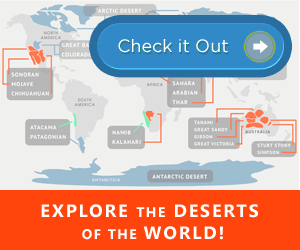 Transcontinental countries (i.e. countries that straddle both Asia and Europe), include Georgia, Kazakhstan, Azerbaijan, Russia, and Turkey. The entirety of Portugal is in Europe, but it has an autonomous region (Madeira) near Africa, and another (Azores) near North America. This would make Portugal a tricontinental country since it has territories in three continents. Europe’s largest active volcano is Mount Etna, located in Sicila, in the southern part of Italy. Vatnajökull (or Vatna Glacier) is Europe’s largest glacier with an area of more than 8,000 square kilometers. Located underneath it are several volcanoes. Evidence has shown that the Mediterranean Sea, which borders Europe, Asia, and Africa, have dried up several times in the past. This is called as the Messinian Salinity Crisis. If transcontinental countries like Russia were not counted, Ukraine would be Europe’s largest country. The idea to separate Europe and Asia (that both share a common landmass) came from the Greeks. The boundary was at Hellespont (modern day Dardanelles) a strait located in the northwestern part of Turkey. Dardanelles (ancient name Hellespont), the strait that separates Europe from mainland Asia is very narrow. It’s only 1.2 to 6 kilometers wide. Europe’s most visited tourist destination is not the Eiffel Tower or the Big Ben, but Disneyland in Paris. Bulgaria is considered to be the oldest country on Europe, since the country’s name was virtually unchanged since 641 AD. Europe’s largest country, Russia, is so vast, that there are literally thousands of uninhabited villages inside the country that were abandoned due to lack of development and infrastructure. While Mount Etna is Europe’s largest volcano, Mount Vesuvius might be the most popular. This volcano, located east of Naples in Italy, is known for its eruption in AD 79 that destroyed Pompeii and other nearby areas. It is still an active volcano, so there’s a chance that it will erupt again in the future (though the specific time for this is uncertain). History’s biggest empire was European. In its golden days, the British empire managed to cover one-fourth of the world’s territories. The world’s largest colony of ants was found in Europe. This colony measured a whopping 6,000 kilometers long, and spanned all the way from near the Atlantic coast of Spain to the northern part of Italy. There are around 730 million people living in Europe today. This figure constitutes about eleven to twelve percent of the world’s current population. There is a period in European history that is still full of mystery and intrigue. Called the “Age of Migrations” this historical period happened when various tribes (Vandals, Lombards, Goths, Saxons, and Vandals) made their way to Europe, and was estimated to have ended around 500 AD. The reasons for this mass migration of tribes still remain unclear up to this very day, and there are very little written records about it. A number of European countries have weird laws. For example, in Switzerland, it forbidden to flush the toilet after 10 in the evening. Also, the country forbids mowing the lawn and laundering clothes during Sundays. In France, there’s a law that bans people from naming their pet pigs “Napoleon.” In the United Kingdom, dying in the House of Parliament is illegal. Greece bans all forms of electronic games- not just gambling games- but also harmless ones like online chess, Solitaire, and most mobile games that you play on your phone.